Building self esteem is a conscious activity. One cannot overcome low self esteem by just wishing it away. Here you will find some concrete steps to improve self esteem. Positive self esteem is of paramount importance because it is at the root of every success in life. People with low self esteem think that they don’t deserve success. Hence they don’t try for it and hence they don’t achieve it. Even if they achieve success in any field by accident, they will themselves sabotage it and go back to square one and wallow in self pity. Once we know the causes of low self esteem, steps can be taken to rectify them. Below are given some suggestions for raising self esteem. Low self esteem results from feelings of unworthiness and vice versa. Doing a random act of kindness is a sure shot way of improving your feeling of worthiness. When you help a person in need, your stock in your own eyes increases tremendously. You now become a giver and a doer instead of being a taker and no gooder. One reason for the feeling of unworthiness is the inability or unreadiness to give. A random act of kindness wipes away that feeling and helps in building self esteem. In addition, if these acts are performed anonymously, their effect on our internal well being is ten fold. Now, only we know what good we have done and that feeling is very very exhilarating. Builing self esteem goes hand in hand with acts of kindness. What is a random act of kindness: Anything that helps somebody, done without planning, sometimes spontaneously, qualifies as a random act of kindness. One person I know goes out every evening and stealthily drops a five or a ten dollar note and speedily goes away. Sooner or later somebody notices that note and picks it up.There is every chance that it is picked up by a needy person because generally only such a person walks with his eyes to the ground. Have you noticed that when you are happy and without any financial worries, you tend to walk with a straight body and eyes looking ahead instead of drooping to the ground?Of course the five or ten dollars will not solve the person’s financial problems, but it will surely give him/her a small reason to smile. Another person I know here in India pays a visit to a school in a poor or rundown locality during closing hours. He carries with him 3-4 small parcels, each parcel containing note books, pens, pencils, erasers, compass box, one or two story books and gives away the parcels at random to any student that he fancies and quickly vanishes from there. He does this at least twice a week and visits a different school every time. Doesn’t provide for the needs of all needy students but sure makes a difference in some lives. I read somewhere of a man in New York, who checks the parking meters of cars on the road and drops quarters in the meter box if the time is over or is nearing completion. No one knows but many car owners are saved from an irritating fine and experience. There are many ways in which you can help people. Find out your own way. After all, it is going to help you more than others! How does accepting responsibility help in building self esteem? Firstly, accepting responsibility means accepting the fact that you have done the job. And who does the job? Only a person with value. A no good person will avoid both work and responsibility. So, stop playing the blame game, start taking action and accepting responsibility. It will work wonders for your self esteem. When you acknowledge a job well done, you raise yourself to the level of the person who has done that excellent job. Only a person at a lower level of achievement will shirk away from acknowledging the good work due to reasons like jealousy, feelings of inadequacy, etc. So always have good words for achievers. At the same time, it is necessary to accept compliments with grace. Only a person who does not think himself worthy enough will shy away from accepting compliments. So whenever somebody says something nice, understand that’s/he has accepted you at his level and feel good about it. High self esteem accompanies sense of achievement. Sense of achievement comes from setting and achieving goals. When you set a goal and work to achieve it, your life gets a sense of direction. Achieving a goal gives a feeling of satisfaction and fulfillment. It is this feeling that raises the self esteem of a person. Also, what we become in the process of achieving the goal is more important than the achievement of the goal itself. The positive changes that we undergo increase our self worth. We become action oriented and not just an arm chair critic. A person of action always has high self esteem. Using affirmations is a powerful tool for changing ourselves. 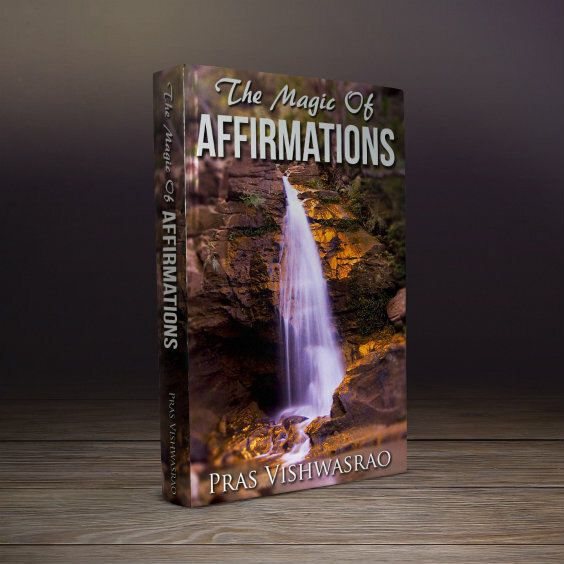 If you have not already done so, first read everything about affirmations. Put shortly, affirmations are positive statements that we make with ourselves about some aspect of our life. So, for building self esteem, we can have self esteem affirmations. Be patient and persistent. Repeat these affirmations at least a hundred times daily (the more the better), for at least six months. The constant repetition of affirmations is sure to change your thinking and your self image. This is one definite way of building self esteem. There is nothing like education to increase your self confidence. If you have not completed your school education, then complete it. Try to add some college education. If all this is difficult for some reason, read voraciously. Not just novels, but books on different subjects. Increase the width and depth of your knowledge. You will discover that increase in knowledge is accompanied by increase in self esteem. Knowledge is one of the self esteem boosters. Building self esteem has never been difficult. Try to analyze yourself. See if you can find the reason for your low self esteem and then take steps to neutralize that reason. If that is difficult, consult a good counselor. Make building self esteem your priority.